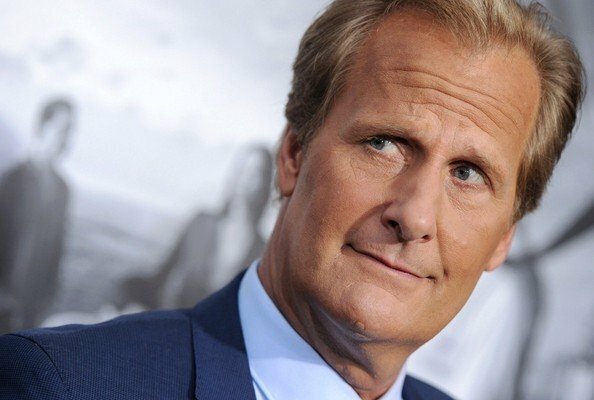 Emmy Award winner Jeff Daniels (The Newsroom) is headed back to episodic television as the lead in Hulu’s factually-based September 11th drama, The Looming Tower – which has been ordered straight to series. The veteran actor will play John O’Neill, who was a prominent figure in the FBI’s Counter-Terrorism division in the years prior to the 9/11 terrorist attacks, and is therefore the centre of the action for this tale of events that occurred before the catastrophic hijackings. Based on the Pulitzer Prize winning book The Looming Tower: Al-Qaeda And The Road To 9/11 by Lawrence Wright, the focus of the series will be the difficult relationships between the FBI and other branches of the Federal Government – in particular, the CIA – and the ways in which this hindered the counter-terrorism efforts ahead of September 11th, 2001. John O’Neill – to be played by Jeff Daniels – was the Special Agent In Charge of the National Security Division in New York, and had already helped coordinate the capture of Ramzi Yousef, who led the 1993 World Trade Center bomb plot. From 1997 until his retirement in early 2001, O’Neill was primarily focused on hunting Osama Bin Laden. In a bizarre twist of fate, O’Neill began work as the Chief of Security at the World Trade Center on August 23rd, 2001 – and died there on September 11th. In his years running the FBI counter-terrorism team, however, O’Neill worked closely with a young FBI agent named Ali Soufan, who was a lead investigator on the USS Cole Bombing in 2000, and who will be played in The Looming Tower by Cesar Award winner Tahar Rahim (Heal The Living, Les Anarchistes). Throughout Soufan’s career, he was critical of the levels of cooperation between branches of the U.S government and, after his retirement from the FBI in 2005, he publicly decried the CIA for being obstructive. The apparently sizeable role of Ali Soufan in this series is noteworthy when compared to established terrorism-based TV shows, such as Homeland and 24, because these have long emphasized white American characters as those working to prevent terrorism, while visibly marginalizing Middle-Eastern characters to minor roles, or villainous parts. Ali Soufan, on the other hand, is a Lebanese-American counter-terrorism expert, and has been credited by investigative journalists as being among those who came closest to preventing the atrocities of September 11th 2001. The Looming Tower is being brought to Hulu by the original author Lawrence Wright, in collaboration with Academy Award nominee Dan Futterman (Foxcatcher), and Academy Award winning writer-director Alex Gibney (Taxi To The Dark Side). This will be a reunion for Lawrence Wright and Alex Gibney, since the documentary filmmaker previously adapted another of Wright’s books into the feature Going Clear: Scientology And The Prison Of Belief. There’s no confirmed premiere date for this new Hulu drama as yet, but speculation indicates a possible late-2017 debut.